At the heart of North Philadelphia sits the 3700 block of North Broad Street at the intersection of Broad, Erie, and Germantown, three primary arteries of Philadelphia. Over the last several decades, the intersection has thrived as an epicenter for the surrounding community of North Philadelphia but has struggled against a lack of institutional investment and long-term commitment to the community residents and businesses. The block is dominated by the imposing structure of the once strong and proud Beury Building, a 14-story, 112,000 square-foot Art Deco skyscraper completed in 1933 and listed on the National Register of Historic Places. 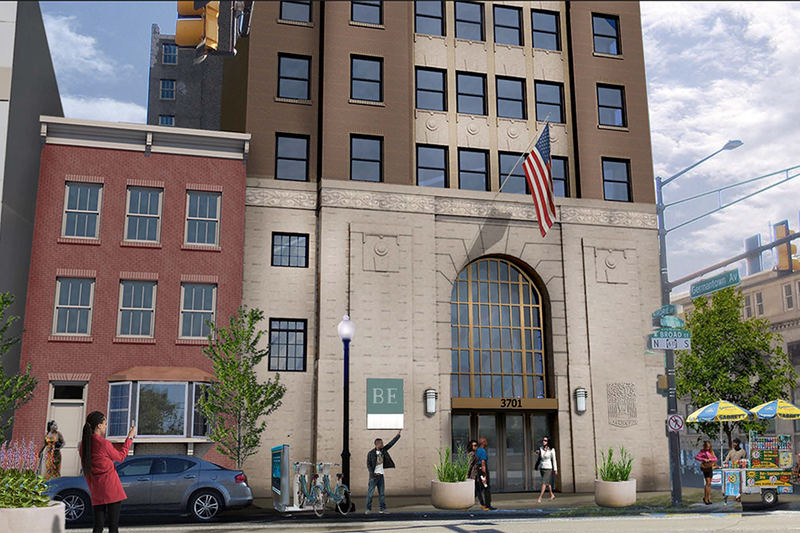 Starting with the redevelopment of the existing Beury Building, the “new” Beury will be revisioned combining both old and new to reinvigorate an intersection, a community, and, in turn, North Philadelphia. 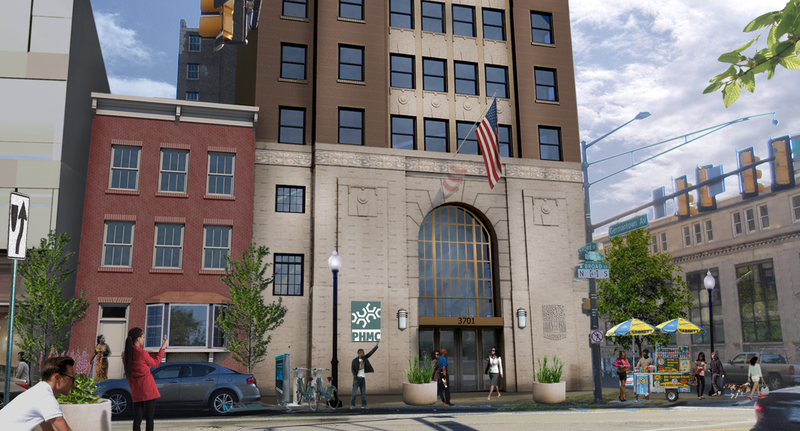 THE BEURY will be the cornerstone for redevelopment of the 3700 block of Broad Street and will become the heart of the community once again. 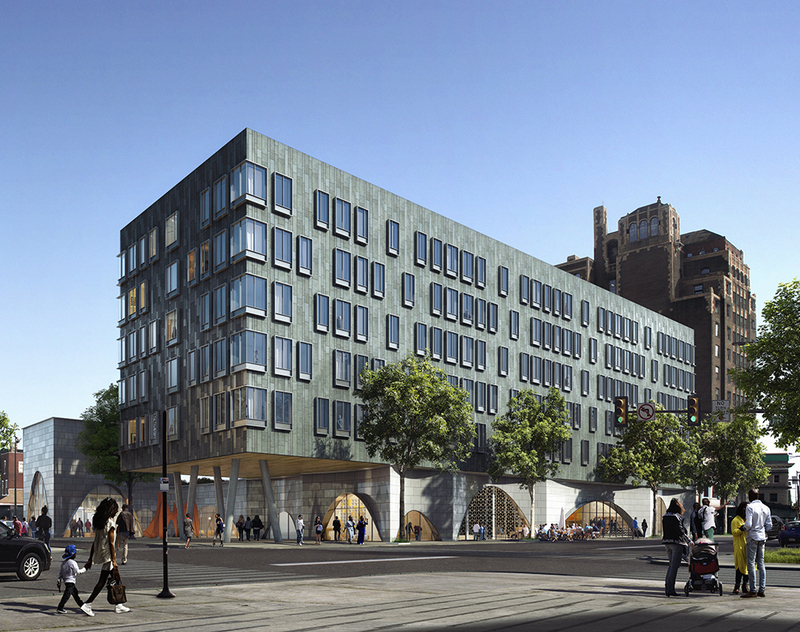 The project will consist of 80 one-bedroom units and 20,000 square feet commercial space. Currently, the project is seeking an anchor retail tenant who can take advantage of the expansive and elegant former bank lobby space. The commercial space will also be available to office users and groups seeking to take advantage of its transit oriented location. Download the Beury brochure for detailed building information and planned development in the neighborhood. THE RESIDENTIAL SPACE will be located on floors three through eleven. Each one-bedroom apartment will enjoy a kitchen, bathroom, living room, bedroom, and closets. The average size of each apartment will be 624 square feet. 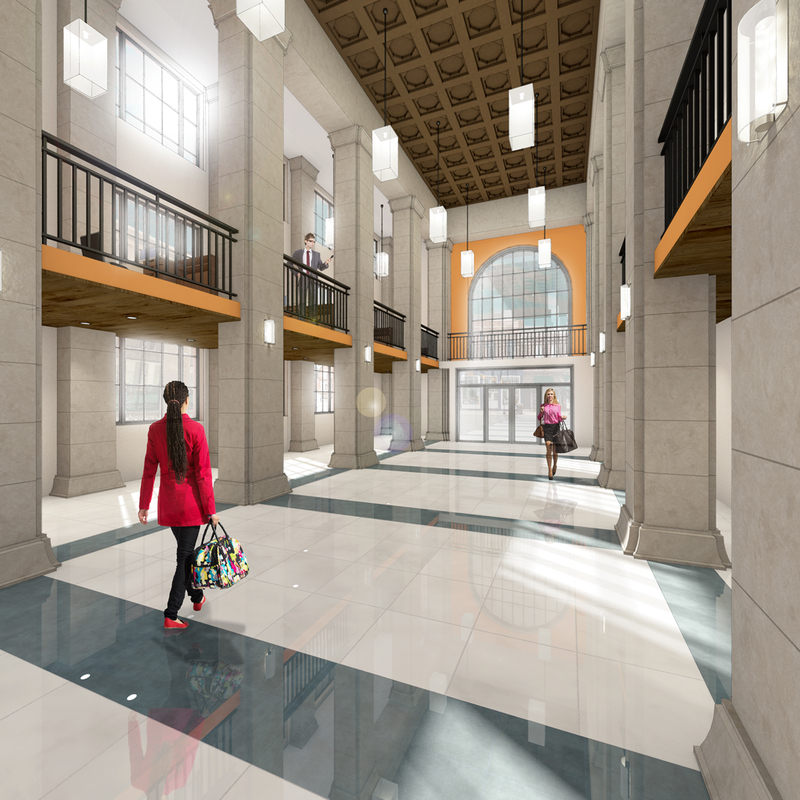 A community room, laundry, and outdoor terrace will be located in the common area of the residential section of the building. 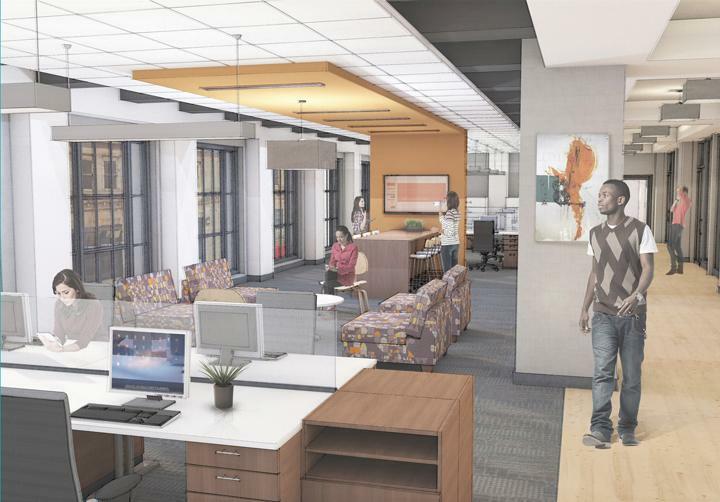 The Beury building will have fifty apartments set aside for those eligible by the Pennsylvania Housing Finance Agency and the city of Philadelphia. Some apartments will be preferentially leased to people with physical disabilities and will be fully accessible for wheelchair users. 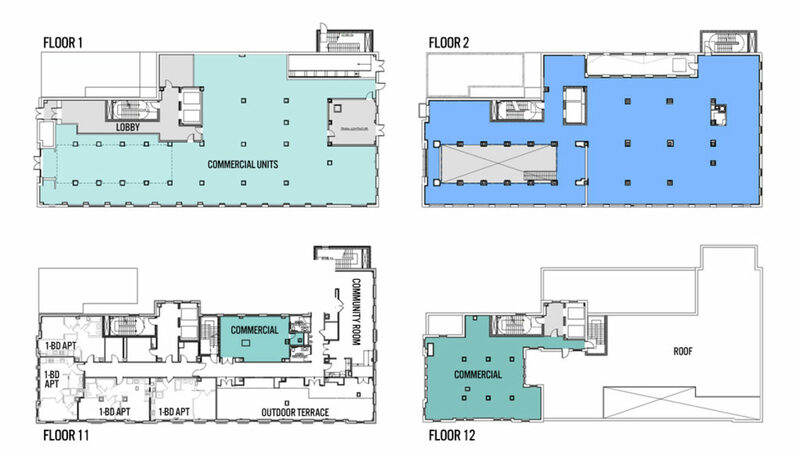 THE COMMERCIAL PORTION of the Beury Building will encompass floors one, two and eleven and is now seeking preliminary tenants interested in space. The intersection provides retailers and commercial tenants a unique opportunity to be situated at the 2nd busiest transit hub on the Broad Street line and just a block and a half from Temple's Medical Campus. Please join our mailing list to learn more about making our vision for the Beury and North Philadelphia a reality. The extension of the Beury building will consist of approximately 20,000 square feet of retail and up to 90+ residential units. The importance of scale and density is critical to an intersection that is built on the backbone of public infrastructure. To realize this second phase of the project we will actively seek like-minded tenants and partners that will extend and catalyze our vision for a healthy and revitalized North Philadelphia. and is anchored by Temple Medical Campus and the Germantown Ave Business Corridor. To request more information on The Beury Project, make sure to fill out our contact form. The Beury building has been vacant for more that 40 years. 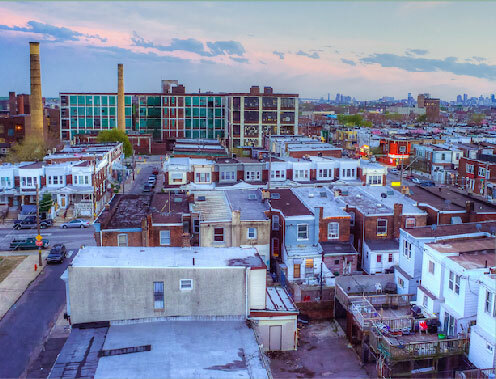 Since 2012, Shift Capital has set out on a journey to revitalize the heart of North Philadelphia. 2012: Shift Capital recapitalizes the project with a renewed focus to realize a development plan that is both impactful and feasible. 2014/2015: with full support of the community, Shift Capital applied to OHCD and PHFA with a program of senior affordable housing and a health clinic. This effort was unsuccessful. 2015: Shift Capital partnered with Bethesda Project to realize a vision to integrate health services with a unique model to target the most disenfranchised in the city. 2015: working jointly with Bethesda, Shift Capital applied for DHCD and PHFA funds. This effort was unsuccessful. 2018: Shift Capital regrouped and put in a fresh round of applications. Beury was awarded DHCD funding and is awaiting additional funding announcements from PHFA and RACP, scheduled to be awarded in the Fall. Abatement successfully commenced at the building. to revitalizing urban neighborhoods by creating shifts in environmental, social and economic viability. Shift Captial brings together investment capital, innovative ideas, best practices and community engagement with a strong design aesthetic to create thriving neighborhood ecosystems. We strengthen the value of our real estate and the collective experience by creating compelling brands within the real estate envelope. It is through diverse capital sources – private, public and social – that significant shifts can be made, shifts that make a difference – one neighborhood at a time. 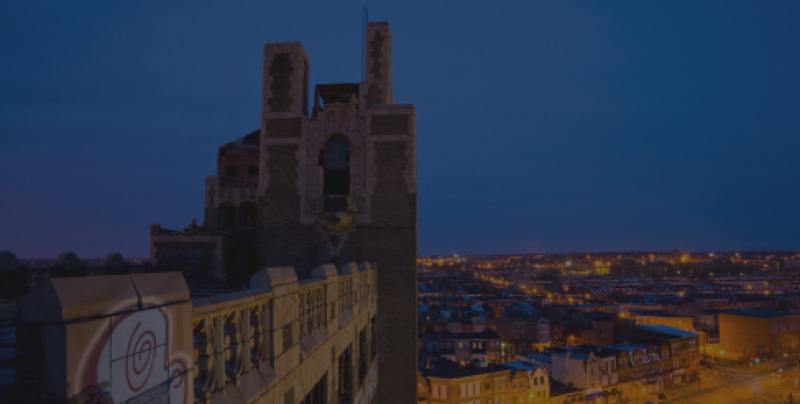 The Beury building is actively seeking leasing partners to join current like-minded organizations seeking to transform North Philadelphia. Below you will find the plans of the commercial spaces and additional information on the commercial office and retail opportunities. please email info@shiftcapital.us and download the Beury brochure. 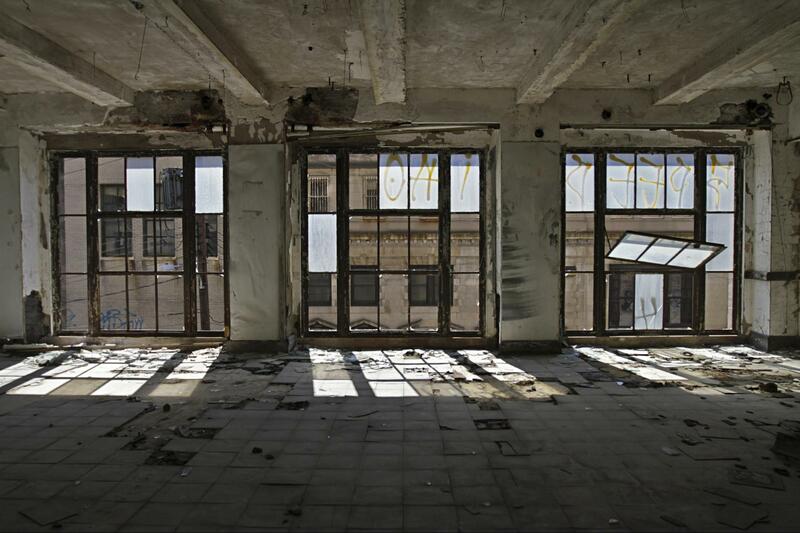 The Beury building is the KEY to the redevelopment of North Philadelphia. 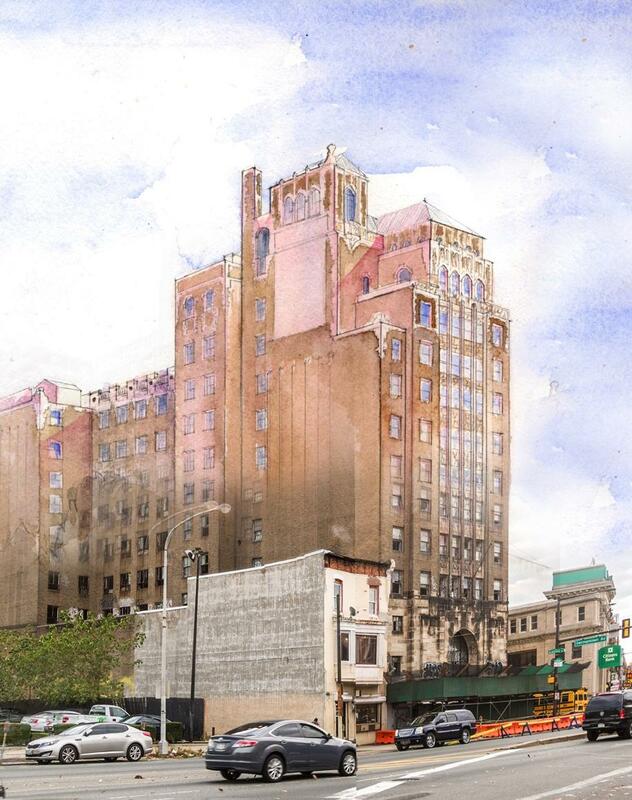 Ideally situated along public transportation and providing massive visibility for those entering the city from the North end of the city, the Beury building is the welcoming gate to the density-rich neighborhoods of the city. The new Beury will be a symbol of the city’s revitalization. We understand that creativity and promoting collaboration is critical to realizing the execution of a project of this scale and ambition. We seek partners in a variety of capacities to help us realize this vision. This may be in the form of philanthropic support, such as foundations interested in securing a better future for residents of North Philadelphia. Or, it may be corporate sponsors who want to both do well and good for the community through exposure along the city’s most important North/South axis. Be part of the new Beury. Join us to once again cement the Beury as the hallmark of North Philadelphia. If you are a student, or Philadelphia resident, the Beury might be for you! For more information, please fill out the form with your contact information. Your request for information helps us determine interest and may assist in an accelerated timeline. Please add any extra questions in the “other notes” sections. Although we may not be able to respond to all inquiries, we will keep your information confidential and notify you in the future of any updates.